You don’t have to be a high maintenance consumer to expect your moisturiser to work. You pay money for a product which claims to keep your skin supple, hydrated and defy the signs of aging, so you’re well within your right to expect that as an end result. But, have you ever wondered why this isn’t always the case? Despite following a strict skincare routine, your skin is still dry, dull, and anything but smooth and dewy like you’ve been promised? Well, we’re going to let you into what the skincare industry would consider their best-kept secret and ask you to shout this from the rooftops until it’s not a secret anymore! Because, here it is: all the benefits of your moisturiser lie in its active ingredients. If your moisturiser isn’t working, it’s because the activity content is so low, your pot of liquid gold is as useless as monopoly money. Now, isn’t that an interesting concept? Active ingredients are the keys that unlock the goodness as far as your moisturiser is concerned. Active means functioning, working, operating, in force, and in process. In moisturiser, active ingredients are the building blocks needed to create healthy cells and repair those which have been damaged. If an ingredient is ‘active’, it means it’s biologically active. It hasn’t been manipulated in any way, and it works just as it would do in its natural habitat. The skin has its own set of NMFs (natural moisturising factors) but, while everyone’s different, when taking into account aging and damage caused by environmental factors, this biological process generally needs some assistance. There’s no way around this, for healthy skin, we need the active ingredients that moisturiser labels proudly claim to include. So, with this information to hand, have you ever considered why your pot of moisturiser is filled with (generally) white cream? We’ve never seen a white creamy plant, have you? And that’s because what you see in your moisturising pot is a synthetic concoction of stabilising chemicals, water, perfume, and emulsifiers. As an industry, skincare manufacturers are in the habit of damaging active ingredients until they’re basically unrecognisable. Firstly, by using de-stabilising extraction methods so chemical stabilisers are essential, then, by diluting the precious phyto-actives to make the cream stretch further. By the time the active ingredients that make your moisturiser work have made their way to your bathroom shelf, most products tend to sit at about 2% activity. If your product is 2% active, there’s no way around this, it’s 98% a waste of your money. 98% of what you pay for is chemicals and synthetic ingredients that can potentially harm your skin. Basically, what isn’t active, is rubbish. Does a skincare product that is only 2% active make sense to you? No, it doesn’t to us either. But rather than just being the bearers of bad news, we do have some good news for you, and we want to tell you how to choose a product that works! Stop paying for water in your skincare. When natural ingredients are formulated with synthetics, they can lose their ability to actively help the skin. Even water can negate the antioxidant properties of some vitamins as they oxidise and dissipate. Water is often the most prominent ingredient in a moisturiser as it’s used to make the product stretch further and cost less, but water also dilutes what little activity there is. Stop choosing skincare with emulsifiers. If you have water soluble and oil soluble actives in your products you’ll need an emulsifier in your product, which will stop the actives penetrating the deeper layers of the skin. As pores are either water or oil-soluble (not both) and your skin can’t determine which is which, the product will sit on top of the skin causing occlusion which can lead to skin problems. At Biologi, we’ve developed a unique extraction method which means that our products are 100% plant serum. Our serums don’t need stabilising, we don’t add synthetic ingredients, we don’t dilute our products, and what you get in your bottle is 100% active. Our active products repair the top layer of your skin (epidermis) and work to penetrate the deeper layers of your cells helping to repair and regenerate long before the skin comes to the surface. This enables sluggish and congested skin to have a healthy cellular turnover and increase your glow. The Biologi range is the only 100% water-soluble active product on the market with no artificial colours, or preservatives…not even water! We can never guarantee the colour of the serum you’ll get because it’s pure plant, our 100% active serums are left untouched & undiluted. 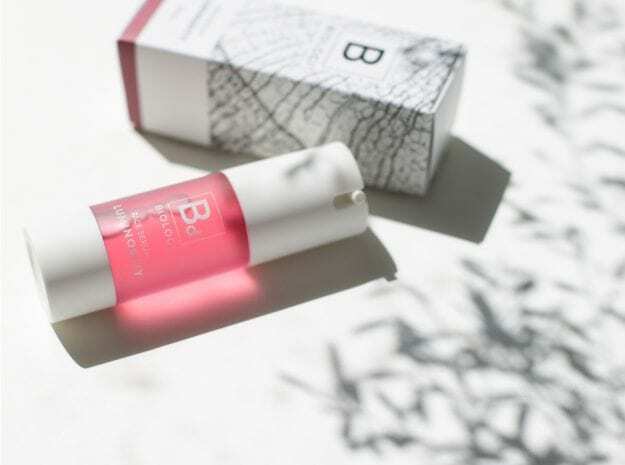 At 100% activity guaranteed, you can’t get better, or more effective, for your skin than Biologi. Every single drop of what you get in a Biologi bottle serves its purpose, naturally.